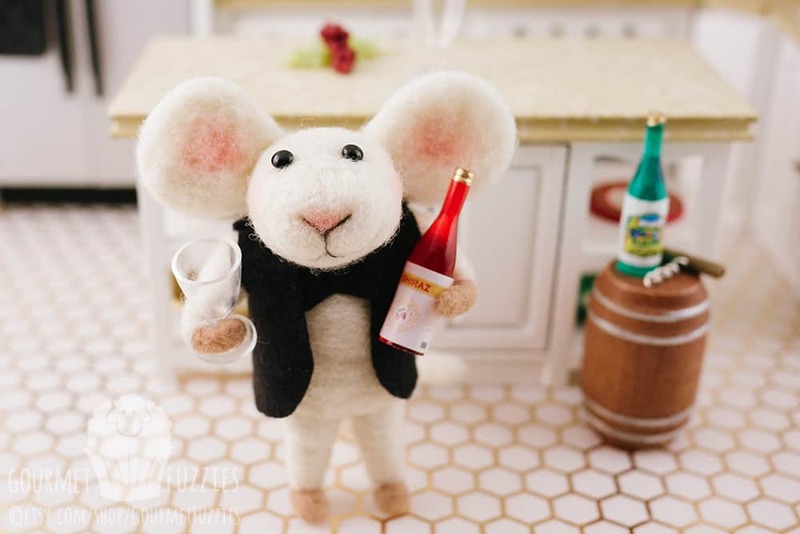 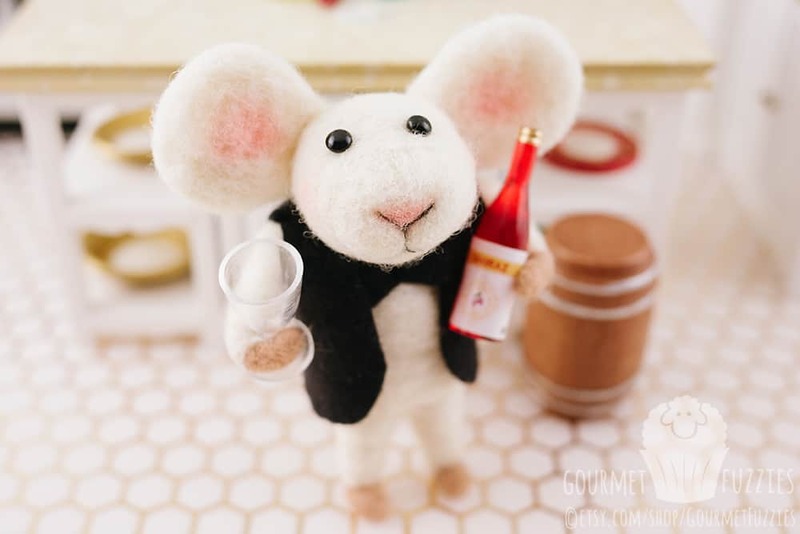 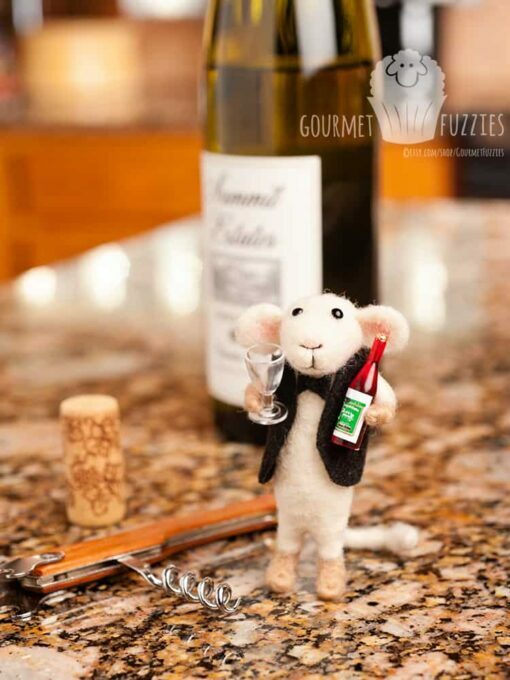 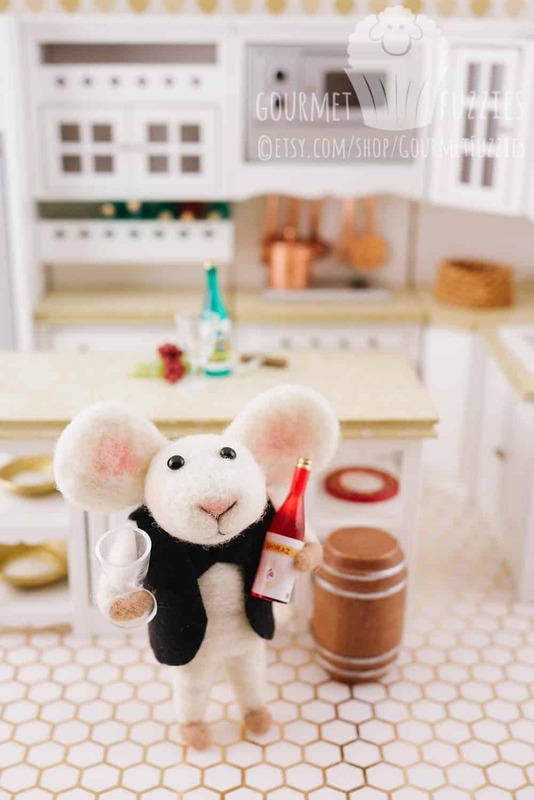 Dollhouse Miniature Saul the Sommelier - Needle Felted Mouse with Wine - 1:12 Dollhouse Miniature - The Petite Provisions Co. The nectar of Bacchus is truly divine. Whether white or red, Saul is a fan. 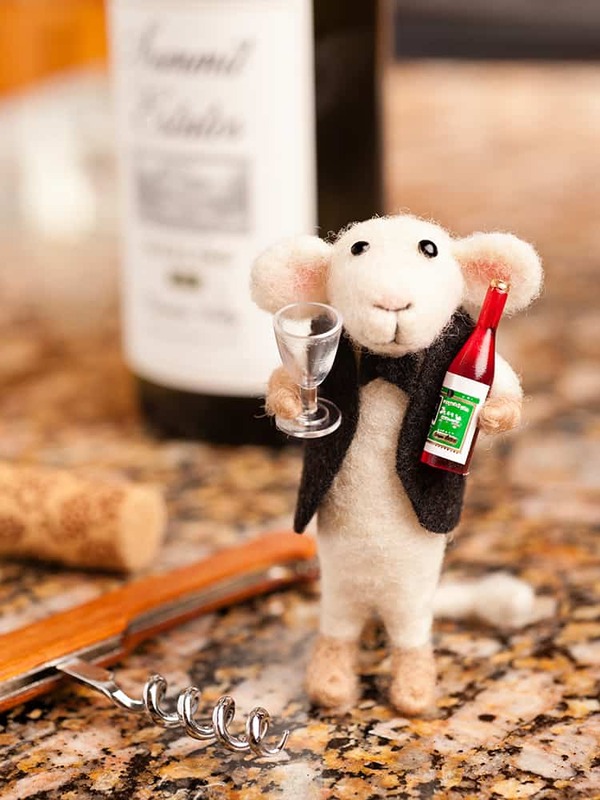 Saul comes with a tiny bottle of red or white wine, a black wool felt bow tie and a black wool felt vest! He’s the perfect addition to your kitchen or wine cellar! 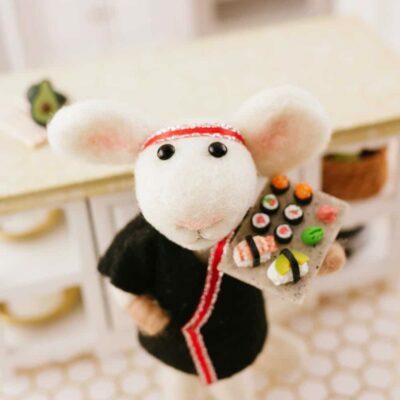 Saul is made to order. 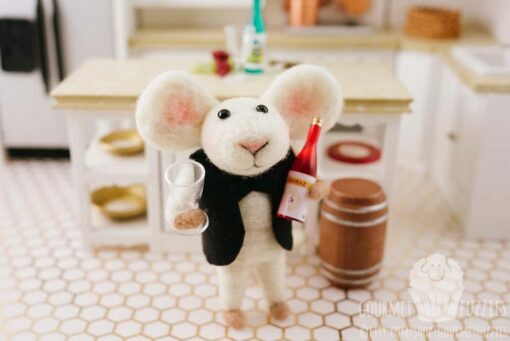 Please allow 2 weeks for your Fuzzy to be crafted. 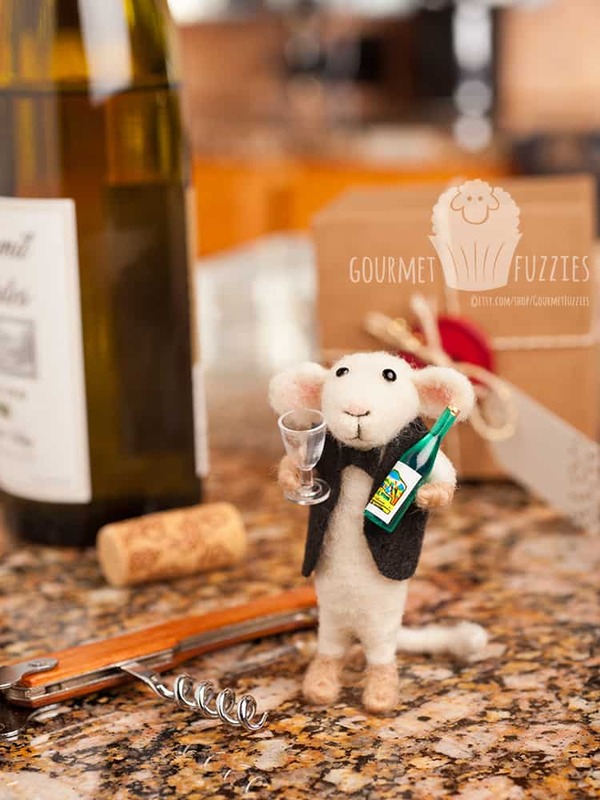 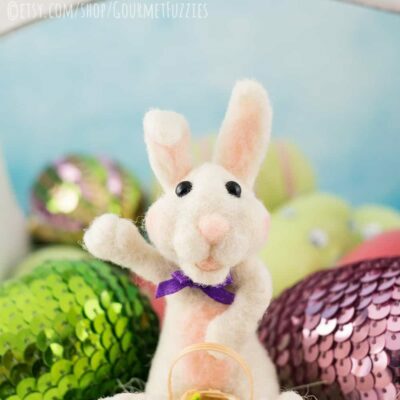 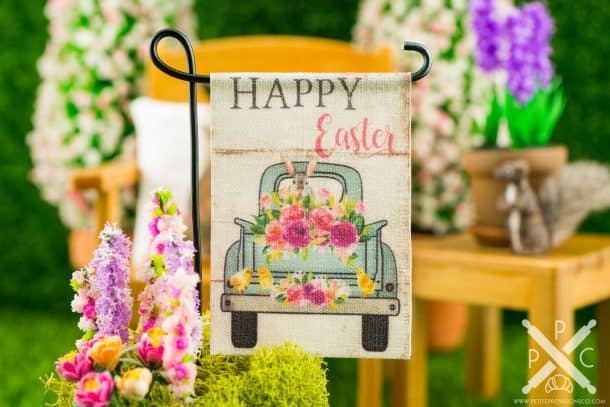 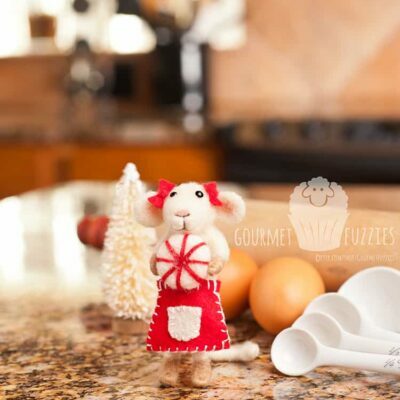 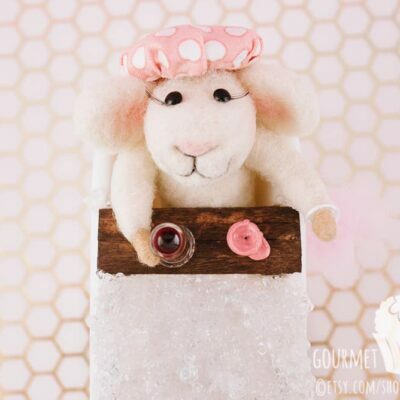 The Fuzzy you will receive will be very similar to the one pictured, but due to the nature of handmade items, there may be slight variations, but that’s half the fun – your Fuzzy will be one-of-a-kind!